Clip On Hair extensions add volume and bounce to hair of girls. Clip On Hair extensions are available in different styles including wavy, curly, straight and others, that add long, gorgeous locks to hair. Clip On Hair Extension is made of damage and insect free hairs, thus it is safe to use. 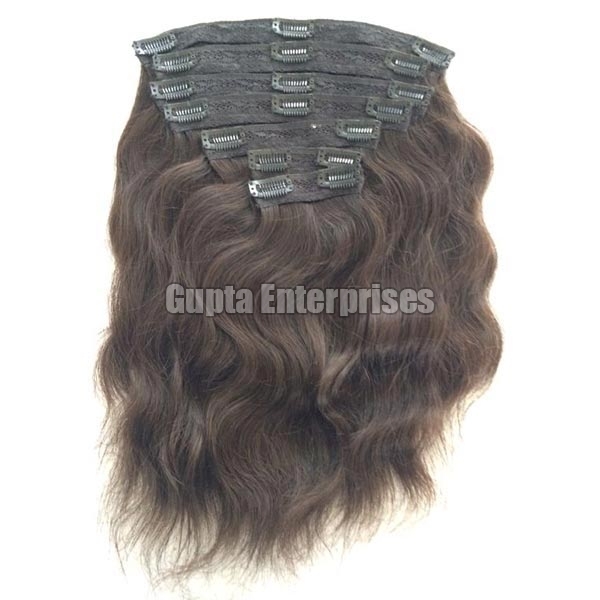 We are selling Clip On Hair extensions in kilo basis.